Welcome to the Kilen Springs technical pages, a guide for distributors, technicians and mechanics. 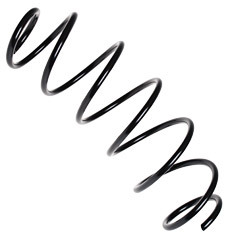 Within these pages you will find information on the various types of springs available, including spring design, manufacturing processes and quality control across the Kilen range. The suspension spring is an important component within the total suspension system, and contributes significantly to a vehicle's overall safety and performance. It is therefore important that all levels of the supply chain are informed and knowledgeable about spring design and manufacture. Kilen both manufacture and distribute springs and can guarantee that what is inside the box has been subject to the most stringent of product quality tests.